S. Craig Zahler is fast making a name for himself among cinephiles. His debut film, the horror/Western Bone Tomahawk, was a fine enough piece of genre entertainment, most notable for allowing Kurt Russell to play a grizzled cowboy again. But it was his follow-up, Brawl in Cell Block 99, which announced his presence like a trumpet. Featuring an outstanding lead performance from Vince Vaughn, universally identifiable themes of love and family, some (gasp!) conservative undertones, and sudden, brutal, expertly choreographed bouts of violence, Brawl in Cell Block 99 is the kind of movie that sticks with you for weeks after you see it. 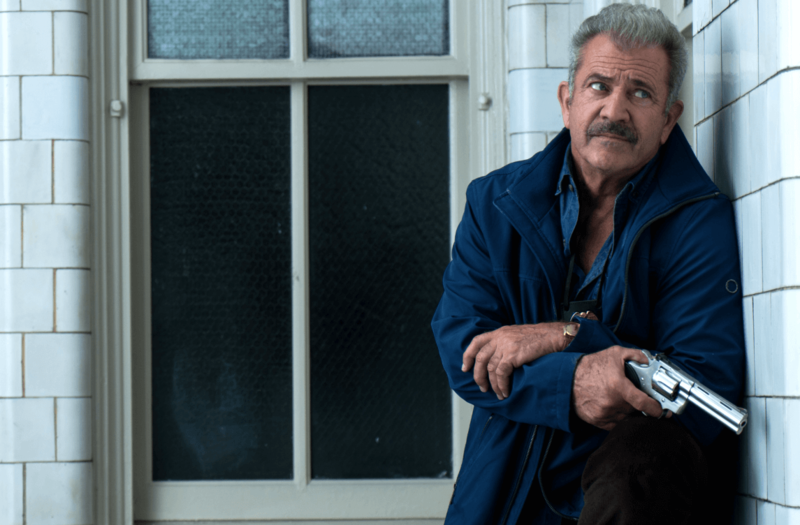 Now, Zahler presents his third feature, Dragged Across Concrete, and it’s his most ambitious one to date. Perhaps as a result, it stumbles a bit here and there, but it’s another brave entry in what is sure to become one of the more fascinating filmographies of the modern era. Detectives Brett Ridgeman (Mel Gibson) and Anthony Lurasetti (Vince Vaughn) get themselves a six-week suspension after the details of a particularly rough arrest become public. With a wife and daughter dependent on him, Brett resorts to drastic measures to provide for his family. 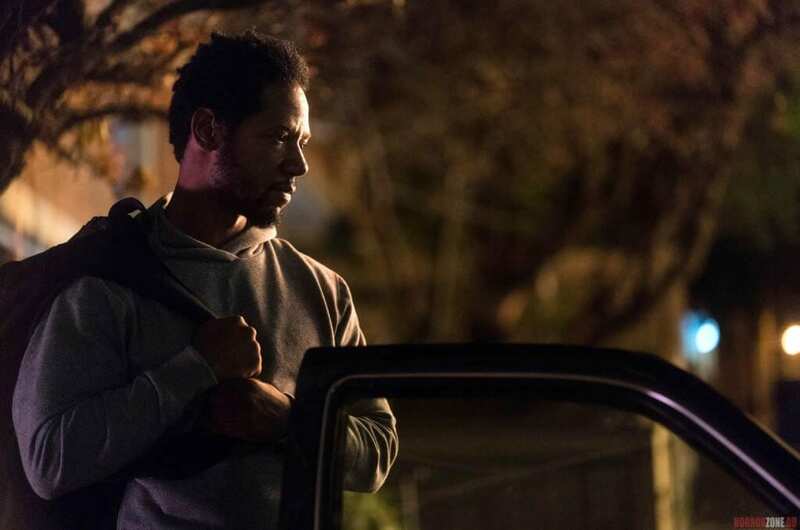 Meanwhile, Henry Johns (Tory Kittles) returns home from a prison sentence to find his mother and brother in dire straits and accepts an offer from his friend Biscuit (Michael Jai White) to do right by them. Thematically, Dragged Across Concrete covers the same ground as Brawl in Cell Block 99, although it broadens its scope a bit. Brett Ridgeman and Henry Johns, like Brawl’s Bradley Thomas, find themselves left behind by society and struggling to take care of their families, ultimately deciding that crime is the only avenue open to them. As they go deeper down the underworld rabbit hole, they’re faced with true monsters and must test their own moral limits when their families are on the line. While I’m slightly disappointed Zahler chose to go back to this well, I get it; it’s something with which the viewer can easily connect. What wouldn’t any of us do for those we love? Happily, Dragged Across Concrete adds some new dimensions to a familiar story. In particular, it’s Brett who differentiates himself most from Brawl’s hero. Brett is a relic of a bygone era, an aging man’s man that life has passed by. He’s from a simpler time, when men were men and results meant more than feelings. Now, his jokes are offensive, his police tactics are frowned upon, and he can no longer recognize a voice on the radio as male or female. Moreover, he’s stuck in every aspect of his life. He can’t adapt to shifting social mores, keeping him “pounding concrete” at almost 60 while his more malleable former partner (Don Johnson) has risen in the ranks of the department. That also means he can’t move his family out of a neighborhood that’s going to hell in a handbasket. When the job to which he’s dedicated his life betrays him over woke optics, Brett can only turn to crime to help his family. It isn’t as simple as Brett thinks it is, though. Underneath his righteous indignation is a seething anger at the world he sees as unjust. Brett’s old partner and current boss points out that, while they both agree sometimes you have to take off the kid gloves when dealing with drug-pushing thugs, Brett has become excessively violent in recent years. And he doesn’t seem to be hurt by his job’s dismissal of him so much as plain old mad. He isn’t just giving his wife and daughter the care they need, and he isn’t just getting what’s rightfully his; he’s sticking it to the modern world that wants to relegate him to the dustbin of history. Anthony sure sees it, and it scares him to death; society’s obsession with political correctness has turned his best friend into something truly dangerous. The mix of noble provider, angry old man, and vengeful relic is what makes Brett so compelling, and Mel Gibson perfectly balances all of the character’s motivations and underlying emotions, delivering an excellent performance that once more reminds us how much humanity he brings to his roles. The biggest problem with Dragged Across Concrete is that the other characters don’t hold a candle to Brett. They do, to be fair, have engaging motivations. Anthony wants to prove his worth to his girlfriend, a modern woman for whom he wonders if he’ll ever be good enough. Henry sees the cesspool in which his mother – and, by extension, his little brother – are caught and will do anything to get them out of it, but has to be creative in a world inherently hostile to ex-cons. And there’s an all-too-brief subplot about a woman (Jennifer Carpenter) pushing herself for her family. These are all great performances, but the complexity of Brett’s character is missing; Henry, in particular, is portrayed as so noble he’s almost saintly, which undercuts what could have been an interesting dichotomy between him and Brett. None of them are bad or tedious, but I would’ve liked more from Dragged Across Concrete. In the 90s, the term “Tarantinoesque” was thrown around with reckless abandon, used by hack movie commentators to describe anything where criminals wore sunglasses. However, it applies to Dragged Across Concrete. The camerawork and storytelling style are very reminiscent of Tarantino, as the movie has a novel-like quality to it. There are lots of long, dialogue-driven scenes to make us feel like we’re living this story with Brett and company; that dialogue is mostly sharp but occasionally clunky. The plot also veers off into scenes that flesh out minor characters, but these all serve the central theme. Unfortunately, Zahler doesn’t have Tarantino’s flair for music, with a bunch of forgettable rap songs accentuating the movie. As with Brawl, the violence is sudden and visceral, though not nearly as hard-edged as Zahler’s previous film, relying instead on our investment in the people involved to churn our stomachs. It can be a hard movie to watch, but it’s well worth the effort. Dragged Across Concrete is another under-the-radar winner from Zahler. While the thematic terrain has been trodden just one film ago, some of the dialogue is stiff, and the rest of the characters can’t measure up to Gibson’s magnetic Brett Ridgeman, it’s still a fascinating, well-filmed examination of how far a man is willing to go for his family and how the shift into political correctness is eating us alive. You’re probably more likely to be able to catch this on demand than in a theater, but you should make a point to check it out. Dragged Across Concrete is another under-the-radar winner from Zahler. While the thematic terrain has been trodden just one film ago, some of the dialogue is stiff, and the rest of the characters can't measure up to Gibson's magnetic Brett Ridgeman, it's still a fascinating, well-filmed examination of how far a man is willing to go for his family and how the shift into political correctness is eating us alive.